I had Technique Tuesday’s Waffle Lot stamp set out working on a Valentine card. 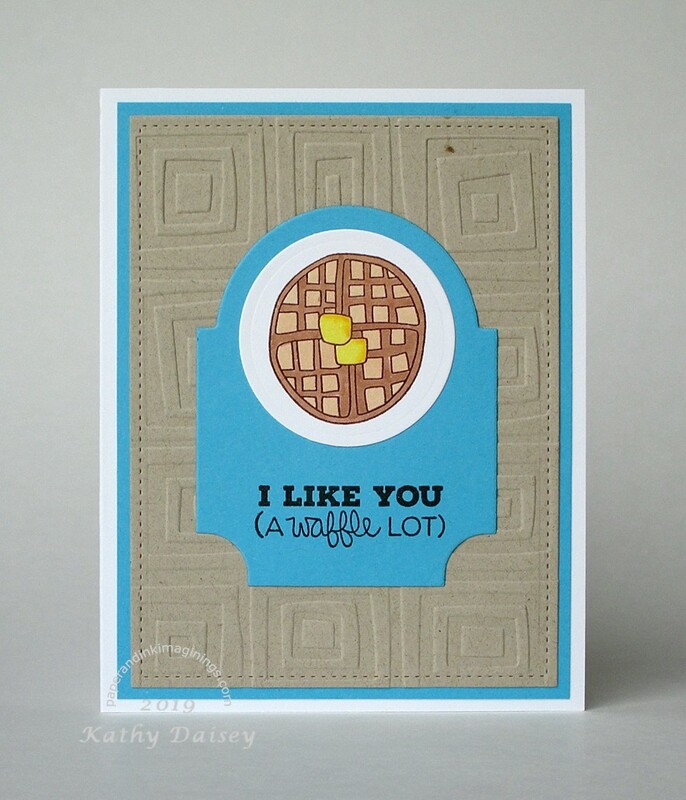 I used masking to stamp a waffle background. I made an extra one, just to have around. For this one, I pulled out an old Provo Craft embossing folder (Traffic Jam) to repeat the waffle dents on the background. Supplies: Stamps – Technique Tuesday, paper – Neenah Classic Crest Solar White, Desert Storm, Stampin’ Up! Real Red, Tempting Turquoise (retired), inks – Copic E23, E53, Y13, Y18, Stampin’ Up! Coffee Cake, VersaFine Onyx Black, Vintage Sepia, dies – Lawn Fawn (stitched rectangle), Papertrey Ink (mat stack), Spellbinders (circle), embossing folder – Provo Craft, embossing powder – Stampendous Detail clear. Categories: card, caring, I love you, Valentine's Day | Tags: card, Copics, Lawn Fawn, Neenah, Papertrey Ink, Provo Craft, Spellbinders, Stampendous, Stampin' Up!, Technique Tuesday, Tsukineko, VersaFine | Permalink.